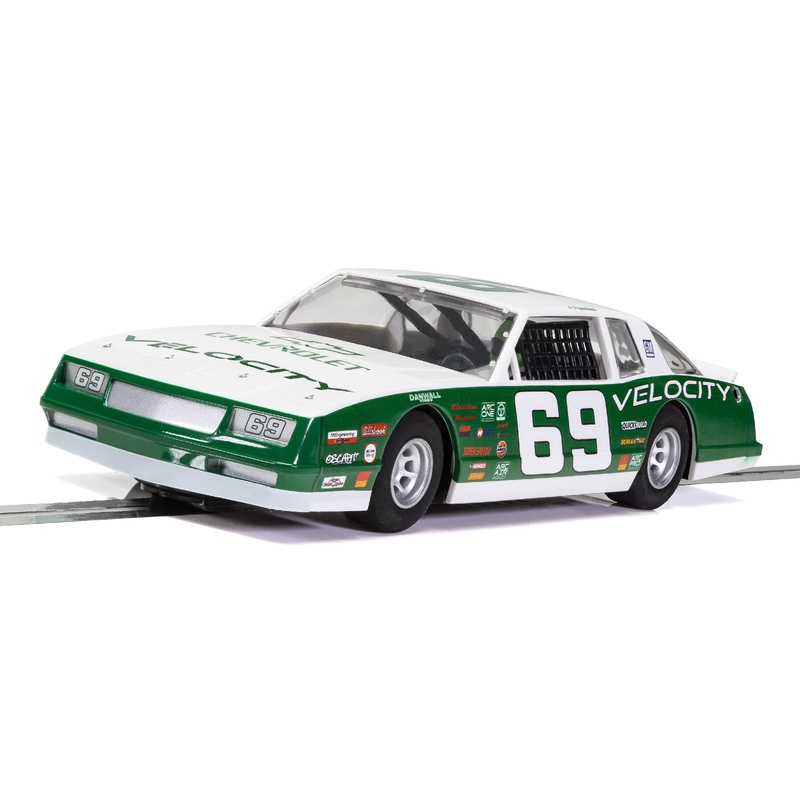 Scalextric's 1/32 Scale "Velocity" Monte Carlo Slot Car represents the rise of the modern stock car era when purpose-crafted racing machines only superficially resembled the standard American sedan they were built upon. Stock cars were automobiles that had not been modified from their original factory configurations during the Golden Era of the 60's and early 70's. Later the term stock car came to mean any production-based automobile used in racing, differentiating it from "race cars"; special, custom-built vehicles designed only for racing purposes. Hornby's 1/32 Scale "Velocity" Monte Carlo Slot Car represents the rise of modern stock car era when the degree to which the cars conformed to standard model specs changed and purpose-built racing machines only superficially resembling the standard American sedans, ruled the ovals. Scalextric cars have led the industry in quality, "out-of-the box" performance and reliability. However, they are also easy to hop up or tune to almost any desired performance level or driving feel, as well. Customize your Monte Carlo or simply put it on the track and enjoy racing fun straight from the box!